Rajkummar Rao, Aishwarya Rai Bachchan and Anil Kapoor promoted their upcoming film Fanney Khan at an event in Mumbai on July 31, 2018. As the release date of the film fast approaches, the makers of the flick are promoting at different platforms and reaching out people. 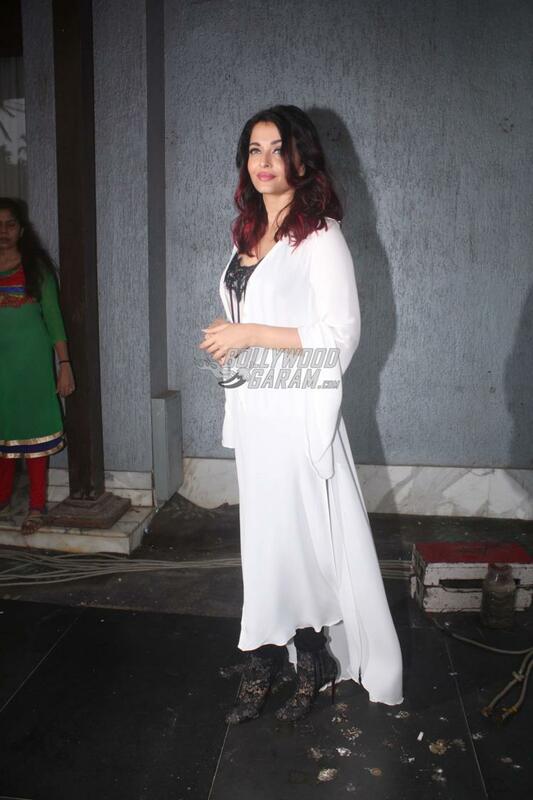 Lead actress Aishwarya Rai Bachchan was the one who caught everyone’s attention as she looked gorgeous in a black corset outfit with a white maxi jacket. Anil Kapoor and Rajkummar Rao have earlier started off the promotions and Aishwarya joined her co-stars today for an interaction with the media. Rajkummar looked dapper in a stripped t-shirt, black denims and a black jacket while Anil Kapoor was seen in a white t-shirt, a zipper jacket and blue denims. The audience is excited to see Anil Kapoor, Aishwarya Rai and Rajkummar together on the silver screens. The upcoming film is directed by Atul Manjrekar and also stars Divya Dutta and Pihu Sand in important roles. Fanney Khan will be released in theatres on August 3, 2018.